Fran & Marlo Cowan (married 62 years) walked into the lobby of the Mayo Clinic and spotted a piano… and then entertained…! He turned 90 in February. 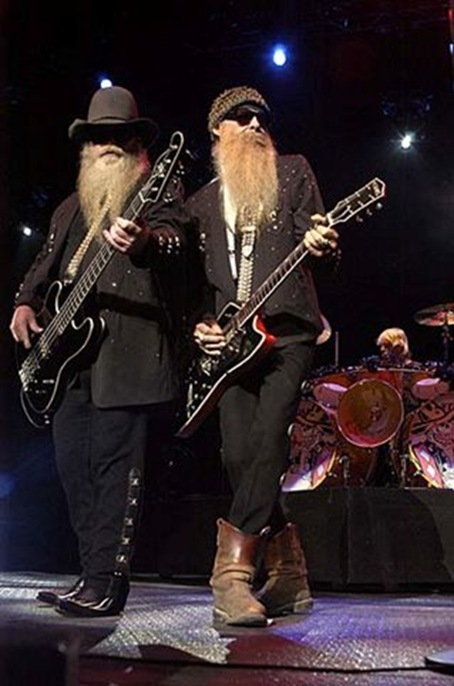 ZZ Top, Tremendous!... 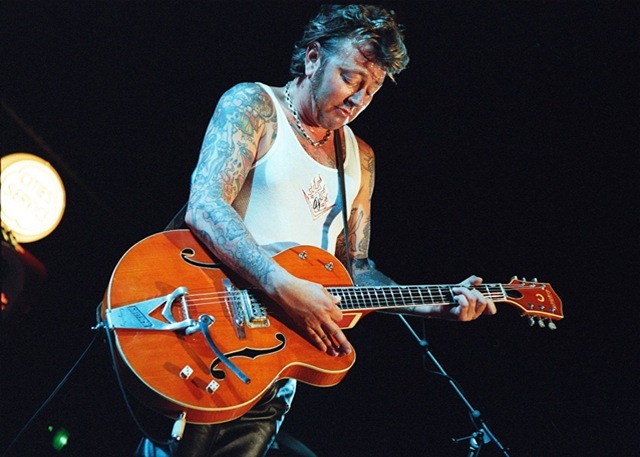 Stray Cats, Fantastic!... The Pretenders... Did I mention ZZ Top was Tremendous? I went to a concert last night at Red Rocks Amphitheater here in Denver (Morrison actually...) to see The Stray Cats, The Pretenders and the ever enduring ZZ Top. I'm not much of a concert goer in my mid-life, probably due to my attending hundreds (that's right hundreds!) of them while supervising the security staff at San Diego State's Open Air Theater and our various inside venues back in the late 80's early 90's. But some friends of mine talked me into going last night. Red Rocks is BEAUTIFUL!!! I've given presentations at Red Rocks but I've never been to a concert there... and certainly not at night! Awe inspiring. The acoustics are impeccable. Our 28 year old friend was probably the youngest person in attendance out of 9,000 peeps! Damn I'm getting old! Pot Smokers are truly an inconsiderate lot! I assume they think they are being generous, sharing their smoke in such a liberal fashion... I feel for those who are subject to random drug tests, who may flag simply because they WENT to a concert! Nice! 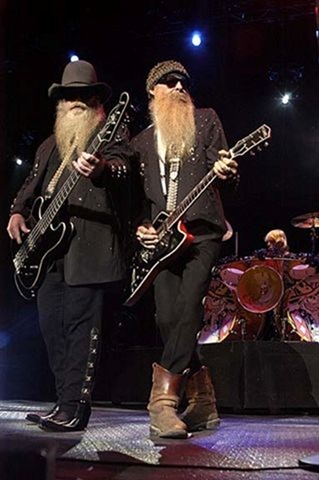 I'm trying to figure out how old Billy Gibbons and Dusty Hill (the leads of ZZ Top) really are... cuz they looked that old/young... bearded 20 years ago! They've been a band since '69 folks! 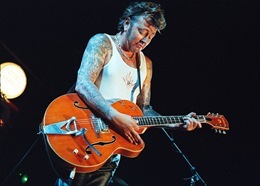 Brian Setzer and Stray Cats epitomize the roots of rock! An energetic combination of Blues, Swing, Big Band, and Country all to form Rockabilly! Three guys!!!! Sounded like 12! The richness and depth of the "Slap Base" enthusiastically played by Lee Rocker combined with rhythm of Slim Jim Phantom's drums raised the crowd to their feet by the 8th note! Setzer was captivating with his 1959 Gretsch 6120, wow what a sound! The Stray Cats so moved the audience, that the cheers and whistles did not subside until the trio returned to the stage to play an encore!!! How often do you see an "Opener" perform an encore? It made going to a concert fun... I thought I had lost that opportunity after having had it turned into work many years past now... Thanks Dusty, Billy, Frank, Brian, Lee, and Slim for a rock'n night to remember! Chrissy... I hope you enjoyed your "animal-free-doobie!" One Hit Wonders! Cuz the Weather outside is frightful! As the snow continues to fall outside (some 10 new inches on top of the 15 received 4 days ago) Ginger and I are sitting in front of the TV watching VH1's countdown of "One Hit Wonders!" Its actually quite entertaining hearing a number of very well known and loved songs and trying to identify the artist(s). Kind of like watching an extended version a Time Life Solid Gold Hits commercial (with commentary). Weird... The way a "One Hit Wonder" is determined is, the band or singer can only have one song topping into the top 40. Get this... Jimi Hendrix is considered a "One Hit Wonder!" with "All Along the Watch Tower" being his only song that cleared that #40 mark. Amazing considering the genius he was. The list has subsequently been taken down from the VH-1 pages but here is an archive of the listing. Kind of fun going down memory lane. I have to admit, I'm still a bit disappointed that Devo is also on the list with "Whip It" being their "One Hit" charting at #14 (and listing at #24 on the VH-1 countdown). "Working in a Coal Mine" missed by 3! And evidently "I Can't Get No Satisfaction" (Booji Boy Label) only made #41 on the UK Charts! Protest Songs and My Favorite! My buddy Tom today, had an interesting post on his blog about "Protest Songs." Which got me to thinking, what is my favorite protest song. Now, knowing that I'm not some "Dance in the middle of the street, bandanna wearing, chant shouting, disgruntle, blame everyone but myself for my life, wish I was back in the 60"s anarchist..." and probably because I choose to study Political and Military history as a hobby, I understand the complexities of international conflict and internal strife to a deeper level than say... Barbra Streisand, or even as some would say, Barbra Boxer (neither of which task is hard to do btw). So back to my favorite "Protest Song." I don't know what Danny Elfman's (pictured on the right) politics are, I suspect he is a registered Democrat (so he can continue to work in Hollywood. Carrying that card is probably more valuable than a Union Card in that city!) 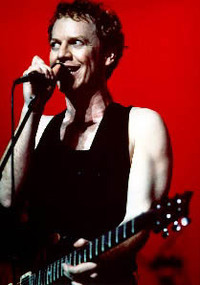 But, he wrote (I think he wrote it, I know he sang it while the lead singer of Oingo Boingo) one, really relevant to my perspective of our "Modern Protest Society", song. The song is simply titled "Capitalism." And it has to be my favorite protest song. Lyrics below...my favorite part is the chorus (in bold). When was the last time you dug a ditch, baby! What the hell do you know about suffering and pain . . .